Freshly ground nutmeg is so much more flavorful than pre-ground store bought nutmeg. 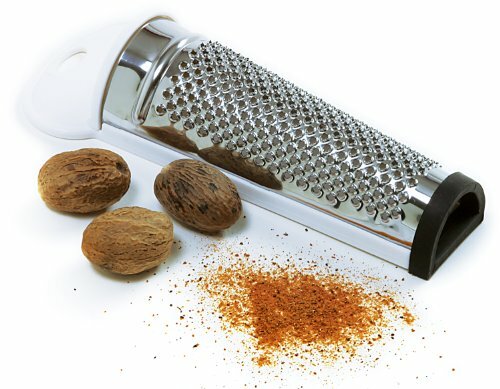 With this handy little grater, you can have freshly ground nutmeg anytime you like. Add nutmeg to savory dishes, sweet dishes or as a drink topper. Features a handy compartment on top to store your nutmeg between uses. Non-slip rubber guard at base keeps it from slipping on your countertop. Also Ideal for ginger, garlic, citrus, chocolate and cheese. Hand wash recommended.